The M-40 Troubadours Sitka spruce top paired with African mahogany back and sides provides a delicate, well-rounded tone that is perfect for fingerstyle playing and light strumming. The small, concert-size body is comfortable and lightweight and features white ABS binding, a rosewood bridge and fingerboard, and a bone nut and saddle. 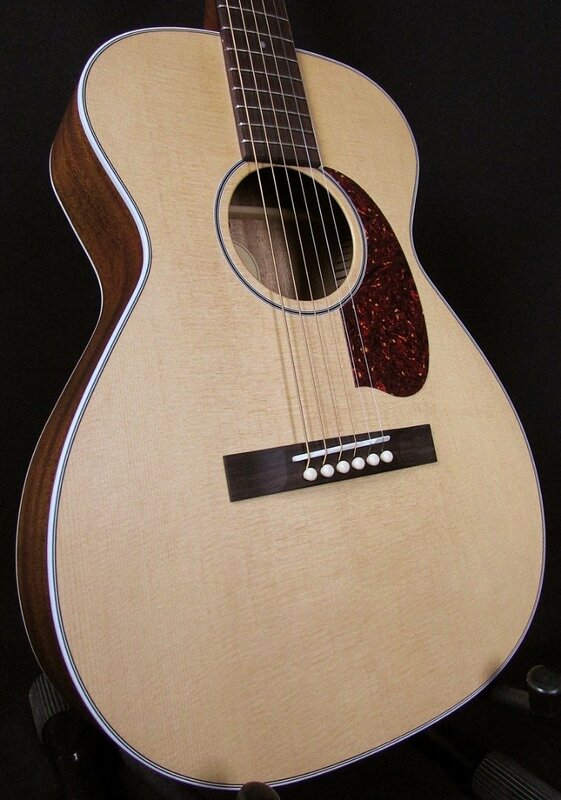 A thin satin varnish gives this guitar its familiar, broken-in look and feel, while also allowing it to breathe. The M-40 Troubadours timeless appointments include a vintage style rosette and Guilds peak logo inlaid on the headstock. Each M-40 comes with a hand-signed, numbered certificate of authenticity, and ships with a humidified hardshell case. This model is available with a Natural orantique burstfinish. A discreet, USA-made LR Baggs Element VTC pickup is also available.